Google has decided to retire Google Reader on July 1st 2013. I can't begin to understand what brought on this decision. 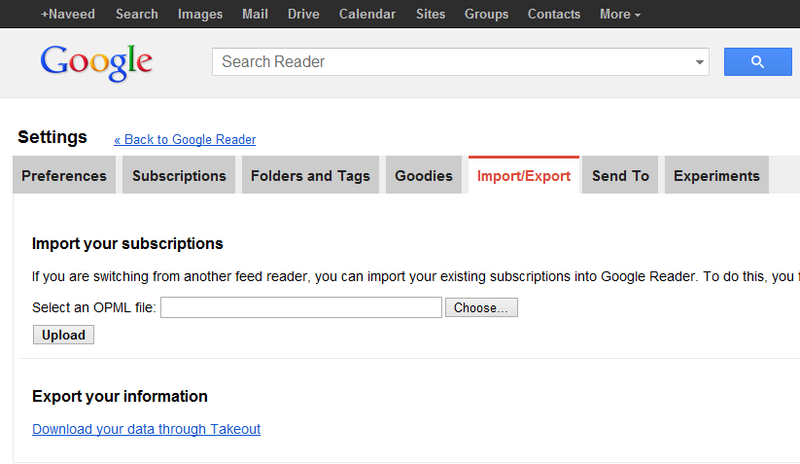 Google reader is hugely popular and my favorite RSS feed reader. I'm upset and beginning to wonder if I should wean myself of google's services as they seem to be arbitrarily retiring products without reason. Time to start hunting for alternatives. You should export your subscriptions from "Reader Settings -> Import/Export". There are alternatives - netvibes being the most popular. But, netvibes is very different from Google Reader, and I like Google Reader's way of doing things. I found one that's quite similar to Google Reader at least at first glance. It's not free, it has a 30 day trial and is reasonably priced and has a pay what you want pricing structure starting at $9 a year. Definitely worth it, in my opinion and hopefully shouldn't go away too soon.